Anthony Scaramucci speaking to the news media at Trump Tower in New York in November. WASHINGTON — President Trump is expected to name Anthony Scaramucci, a major Republican donor and investor, as his new communications director, a senior administration official said on Thursday. 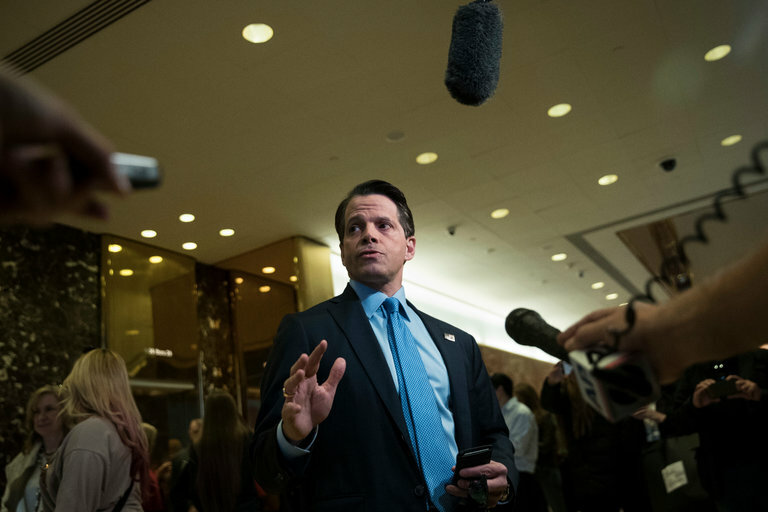 Mr. Scaramucci is one of the president’s most trusted loyalists and a key defender of Mr. Trump on television. He is expected to replace Mike Dubke, who resigned in May after a brief and tumultuous tenure as the communications director for a president who sees himself as his own best spokesman. Mr. Trump and his daughter Ivanka Trump met with Mr. Scaramucci for more than 30 minutes on Thursday in a small dining room off the Oval Office, the official said. Mr. Scaramucci could not be reached for comment. His expected appointment was reported by the website Axios. Mr. Scaramucci is close to Mr. Trump’s eldest son, Donald Trump Jr. He is also respected by Ms. Trump and her husband, Jared Kushner, who is a senior adviser to the president. And Mr. Scaramucci has a direct line to the president, whom he has known for years. Even so, his appointment would be unusual, given his lack of a traditional communications portfolio. But he has been seen as an avid and effective defender of the president on television as the number of Mr. Trump’s open backers has dwindled.